The purpose of the Master in Education Program is to increase professional teachers' competencies. Through participation in learning activities that are based upon current research, Westminster’s education degree courses are taught to develop the spirit of scientific inquiry, stimulate original and independent thought, and identify and respond to major educational issues. The requirements of the Master in Education Program are flexible and allow for individual selection of courses based upon an assessment of each student's educational background, interests, and needs. A plan of study, which includes a four-course area of concentration, should be established before beginning the Professional Specialization phase of the Master in Education Program. Successful completion of the agreed-upon courses in the education program leads to the degree of master in education. The student and adviser will examine the student's educational background, interests, and needs, and plan the program accordingly. The aim of the program is to supplement the student's undergraduate preparation and further broaden the student's background in teaching. More information about the Master in Education Program and related curriculum may be found in the Graduate Catalog. Welcome to the Special Education (K-8) and Reading Specialist (K-12) Certification Program at Westminster College. The graduate program is designed to develop the requisite knowledge, applicable skills, and appropriate attitudes in aspiring special education teachers and reading specialists. Standards are woven through the coursework, the related field experiences, and the culminating internship. The integration of practical fieldwork, simulations, and problem-solving activities with the academic courses is central to the program. and the promotion of the highest professional standards. All three options include practical fieldwork, simulations, problem-solving activities and embedded practicums in coursework. 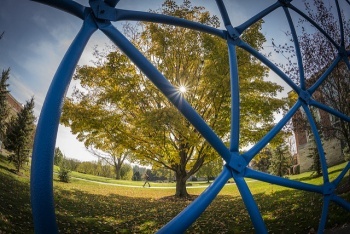 The School Counselor (Counselor Education) Program at Westminster College is a comprehensive sequence of courses and field experiences that are designed to prepare students as specialists in professional counseling services in the school setting. Through the School Counselor Master in Education Degree Program and internship, students acquire a practical knowledge of school counseling theory and develop effective school counseling skills. The program meets school counselor certification requirements in Pennsylvania. The program is designed to meet Ohio school counselor licensure requirements, but licensure is subject to changing Ohio standards, Ohio Department of Education ODE transcript analysis, and testing requirements. In some cases, additional coursework may be required to meet Ohio state standards. More information about the Counselor Education Program and related curriculum may be found in the Counselor Education Program Student Handbook. and as an executive manager. School Principal Program studies are centered on research-oriented discussions, class and online activities, field experiences, personal study, and written work. Instructional certification and experience is a prerequisite. The School Principal Program meets principal certification requirements in Pennsylvania and is designed to meet Ohio principal licensure requirements as well. The educational leadership programs were developed in accordance with the standards of the National Associations of Elementary and Secondary Principals and the American Association of School Administrators. Westminster's School Principal Program meets principal certification requirements in Pennsylvania. The program is designed to meet Ohio principal licensure requirements, but licensure is subject to changing Ohio standards, Ohio Department of Education ODE transcript analysis, and testing requirements. In some cases, additional coursework may be required to meet Ohio state standards. For more detailed information on the School Principal Program, including individual course requirements, consult the Principal Program Handbook. The School Superintendent Letter of Eligibility certifies the holder to be a school superintendent, intermediate unit executive director, and curriculum director, while also holding other positions of school leadership. School Superintendent Program studies are centered around research-oriented discussions, class and online activities, field experiences, personal study, and written work. Instructional certification and experience is a prerequisite. The Superintendent Program meets School Superintendent certification requirements in Pennsylvania and is designed to meet Ohio Superintendent licensure requirements. The educational leadership programs were developed in accordance with the standards of the National Associations of Elementary and Secondary Principals and the American Association of School Administrators. Additional coursework may be required of those who do not have a master's degree, the requisite certification, or other necessary competencies. Westminster's School Superintendent Program meets certification requirements in Pennsylvania. The program is designed to meet Ohio superintendent licensure requirements, but licensure is subject to changing Ohio standards, Ohio Department of Education ODE transcript analysis, and testing requirements. In some cases, additional coursework may be required to meet Ohio state standards. For more detailed information on the School Superintendent Program, including individual course requirements, consult the Graduate Program in Educational Leadership Handbook. 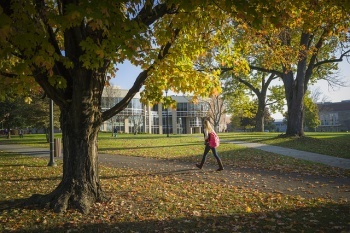 The Pennsylvania Department of Education has approved Westminster College for graduate M.Ed. programs in reading and special education, which are now offered in the combined M.Ed. in reading and special education program. Click here to navigate to the combined M.Ed. in reading and special education program page. Students in Master of Arts Counseling program can choose from one of our three high-quality, hands-on programs leading to professional positions as counselors. They benefit from engaging professors and small classes. Each of the degree programs shares a common core of course-work in basic knowledge, including an introductory course for their degree program. Each specialty program offers a selection of coursework and field experience. In addition to our three degree programs, the Department of Counseling and Development offers Post-Master’s Endorsements for the individuals who have already graduated with a master’s degree in a related field and who wish to complete coursework in one or more of our degree programs without completing another degree. Small class sizes which allow faculty to work intensively with students. Faculty who are engaging, student centered, and highly committed to teaching. A minimum undergraduate grade point average of 3.0 to be considered for unconditional admission. Undergraduate degrees from any discipline are acceptable. Students with a grade point average below 3.0 must submit official Graduate Record Examination (GRE) or Miller Analogies (MAT) scores. A written statement indicating their interest in the program, experience, and career goals (please see prompt on application). Two academic recommendation forms form a former or current college or university faculty member with knowledge of the applicant’s academic aptitude, suitability for intended program area, and ability to form interpersonal relationships. Selected applicants will be invited for an oncampus, phone or online interview. The Master of Arts in Clinical Mental Health Counseling is a 60 credit-hour program that leads to eligibility for Pennsylvania and Ohio licensure as a Professional Counselor (LPC). Graduates are qualified for employment in a variety of settings including hospitals, residential treatment facilities, and community mental health agencies. There are different concentrations in this program include: adult, child/adolescent, and school concentrations. School counseling students are also eligible for certification as a Professional School Counselor in Pennsylvania or Ohio. 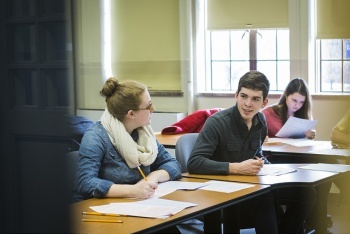 The Master of Arts in Clinical Mental Health Counseling offered by Westminster College is designed to prepare students to meet the educational requirements for licensure in most states. It is a student's responsibility to understand the specific requirements of the state in which they intend to apply for licensure and to be aware of any changes to those requirements. If they move to another state, the requirements for licensure will likely be different from the state where they currently reside, and they are responsible for determining the licensure requirements in the state to which they relocate. The American Counseling Association provides a directory of all state professional counselor licensure boards. Students must complete at least a 100-hour practicum and two 300-hour internships during the program (some states require additional hours for licensure). In those states where additional practicum and/or internship hours or coursework is required, Westminster College will work with students to obtain the additional hours; however, students may need to seek courses in their home state to fulfill requirements outside of the degree-requirements. Westminster College does not guarantee that the completion of this program will result in state licensure or certification: In addition to successfully completing the educational requirements, students will need to meet other state licensure requirements, which often means post-master’s hours. Students are responsible for understanding if a background check is required to apply for licensure and for determining if their own circumstances pose any barriers to licensure. Additionally, students must pass the appropriate licensure examination in their state. Often, this is the CPCE or NCE examination. Students completing the program are generally eligible for the NCC credential, provided they meet all NBCC criteria and complete the other aforementioned requirements.